This event was webcast at the assigned time. If you wish to view it again or need to see it for the first time it will continue to be available for a few days. The video is formatted for all modern systems and will stream directly to your PC or mobile device system. You may need to update your Internet Explorer browser to 9.0 version or newer. We also recommend installing the latest version of flash software. Most mobile devices should not have an issue. We are pleased to support Drunvalo in any way we can and promise you our Humicin (Humic & Fulvic) formula allows you to benefit from four times the dietary ingredient over common liquid based products in a portable, sterile, small capsule. 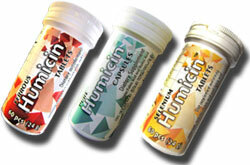 Each serving contains 150mg of pure Fulvic Acid and 100mg of pure Humic Acid targeted ingredient. Read the exciting details on our website.